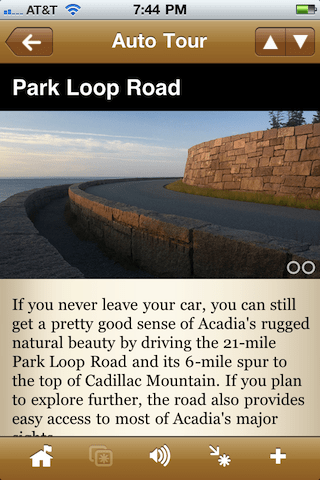 The major summer updates for the Acadia National National and Cuyahoga Valley National Park apps – both the Android and iOS (iPhone/iPad/iPod Touch) have been released and are available in either the iTunes App Store or Android Marketplace. There are lots of exciting changes – most notably the point of interest interface. Lots of feedback was gathered last summer and we’ve completely redesigned the interface to make it even more user-friendly and to further complement the experience visitors will have during a visit to a national park. Updates for Grand Canyon, Cape Cod and Yosemite are rolling out shortly. And oh by the way, we just released Zion National Park!